FM valued member AS AGENT D.O.O., Serbia referred one of its reliable, experienced and active partners PRIME FORWARDING LTD., Russia. 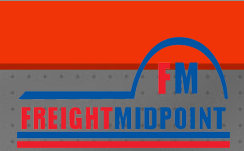 We are happy to announce you that PRIME FORWARDING LTD. successfully completed membership requirements and joined among Freight Midpoint professionals from RUSSIA. Ethiopian Airlines is planning the next expansion phase of its Addis Ababa Cargo Terminal-II facility, which opened in July 2018, to accommodate 1.2m tonnes per year. The new 38,000 sq m facility increased Ethiopian Airlines’ previous throughput capacity at the earlier single terminal operation to nearly 1m tonnes per year from 350,000 tonnes. In March this year, Ethiopian Cargo took delivery of its first B737-800 freighter, with a payload capacity of more than 23 tonnes. Africa’s largest airline has seen its freighter fleet grow rapidly over the last decade, evolving from two leased MD-11Fs to an inventory of eight new Boeing 777 freighters – with more to come. FM valued member BLUE OCEAN INTERNATIONAL TRANSPORTATION CO., LTD, Vietnam referred one of its reliable, experienced and active partners SHANGHAI ALLIANCE INTERNATIONAL FREIGHT FORWARDING CO., LTD., China. We are happy to announce you that SHANGHAI ALLIANCE INTERNATIONAL FREIGHT FORWARDING CO., LTD. successfully completed membership requirements and joined among Freight Midpoint professionals from CHINA. SHANGHAI ALLIANCE INTERNATIONAL FREIGHT FORWARDING CO., LTD.
FM valued member POSEIDON FREIGHT PTY LTD, Australia referred one of its reliable, experienced and active partners PT. PROTEUS MITRA LOGISTIC, Indonesia. We are happy to announce you that PT. PROTEUS MITRA LOGISTIC successfully completed membership requirements and joined among Freight Midpoint professionals from INDONESIA. FM valued member M S LOGISTICS, India referred one of its reliable, experienced and active partners FAR GLOBAL PROJECTS AND RESOURCES LIMITED, Nigeria. We are happy to announce you that FAR GLOBAL PROJECTS AND RESOURCES LIMITED successfully completed membership requirements and joined among Freight Midpoint professionals from NIGERIA. We are glad to inform you that JL LOGISTIC GMBH has become a T-Shirt Sponsor for FM 6th AGM, INO Summit 2019 Kuala Lumpur Malaysia. With their sponsorship JL LOGISTIC GMBH will now be able to significantly increase their brand awareness not only during the event but also for the remainder of the year.